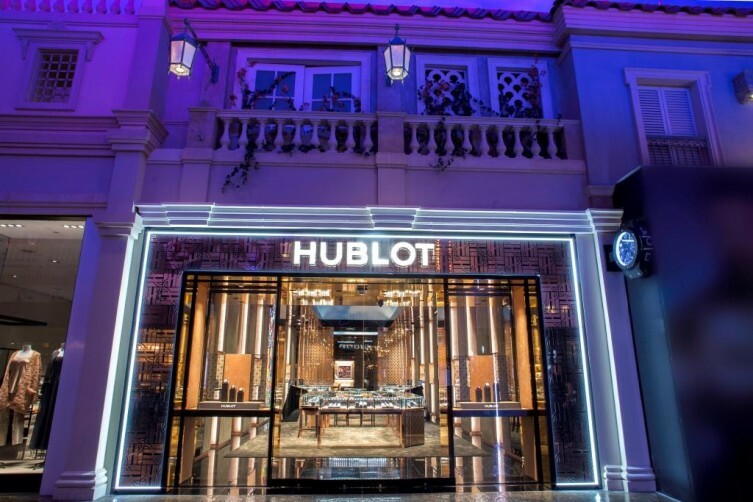 In the eve of what could easily be the fight of the year – the boxing clash between Floyd Mayweather Jr. and Conor McGregor, Swiss luxury horologer Hublot unveiled a new boutique in Las Vegas. 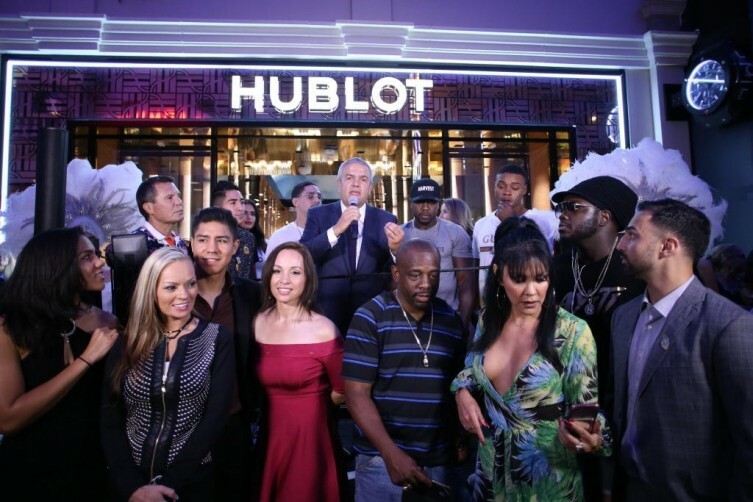 The official ribbon-cutting ceremony in Caesars Palace Forum Shops unfolded on August 25, when guests, including undefeated professional boxer and Hublot partner Mayweather, stepped on a Hublot “boxing ring” instead of on a red carpet. 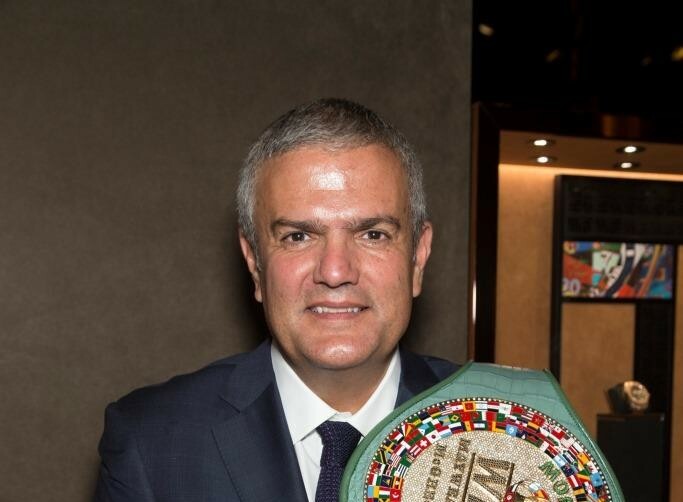 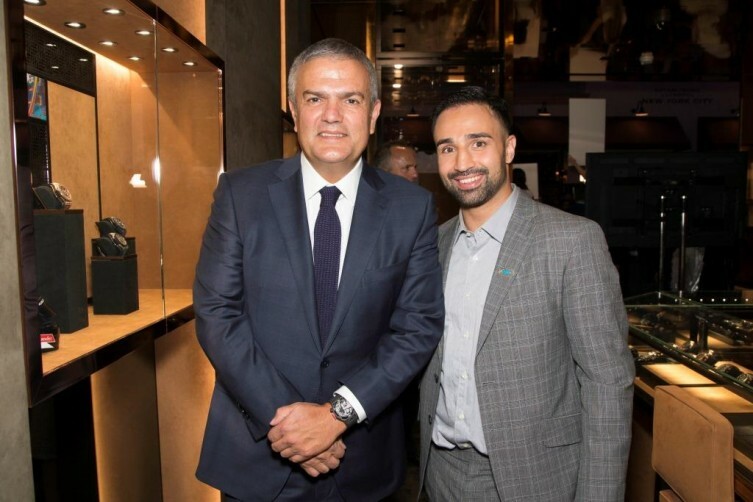 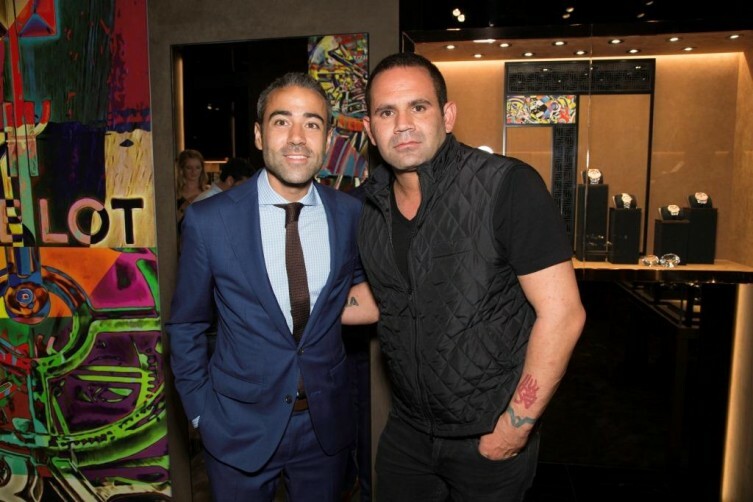 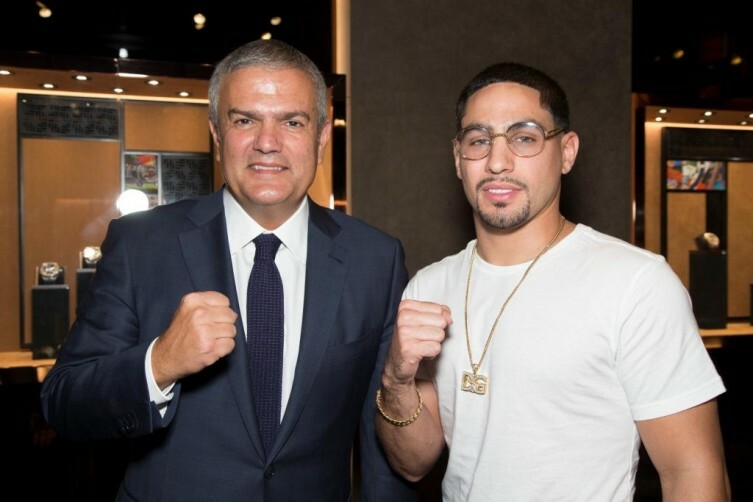 Among the notable attendees were Hublot friends Eduardo Serio of Black Jaguar White Tiger, Ferrari Scuderia Corsa driver Martin Fuente as well as a host of boxing legends in the likes of Julio Cesar Chavez, Danny Garcia, Mikey Garcia, Shawn Porter, Ernie Shavers, Andre Berto, Errol Spence, Jr. and Paulie Malignaggi. 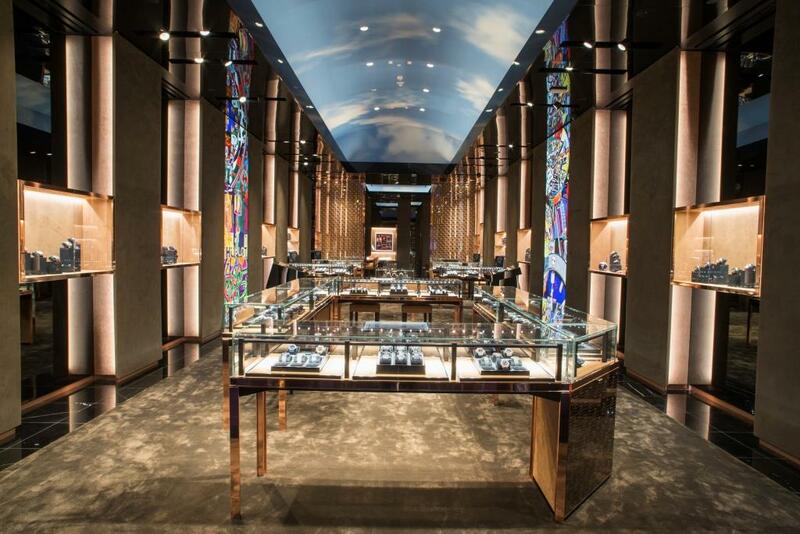 The new boutique, an expanded store adjacent to its previous location, boasts a unique King gold motif, which is complemented by in-house VIP lounge and bar, and the same realistic sky pattern that sweeps through the Caesars Palace. 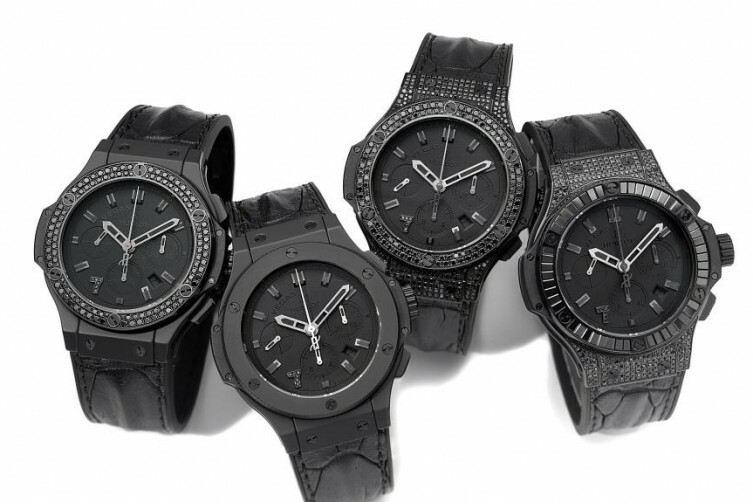 The commemorative capsule collection – the Big Bang Las Vegas Special Edition – flaunts the brand’s signature “All Black” design, adorned with black diamonds in different cuts. 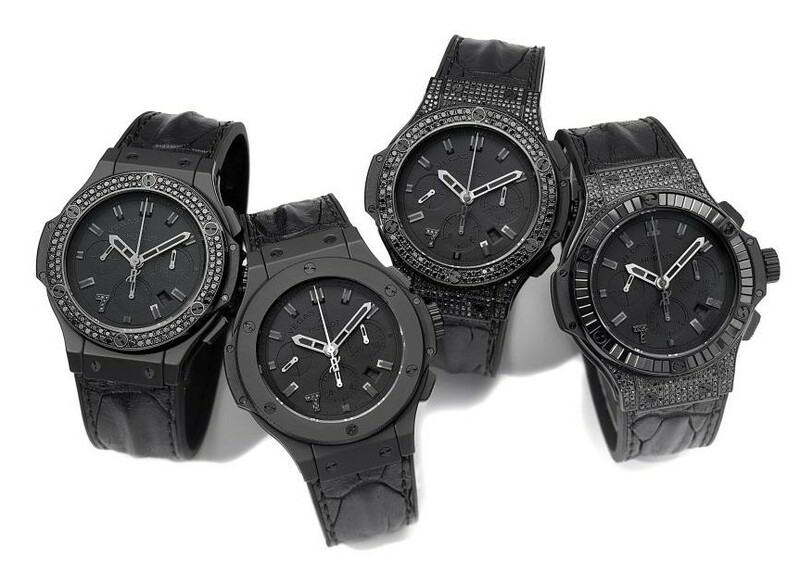 The “lucky number 7” on the mat black dial is rendered in a set of diamonds, while the caseback features the “Fabulous Las Vegas” sign. 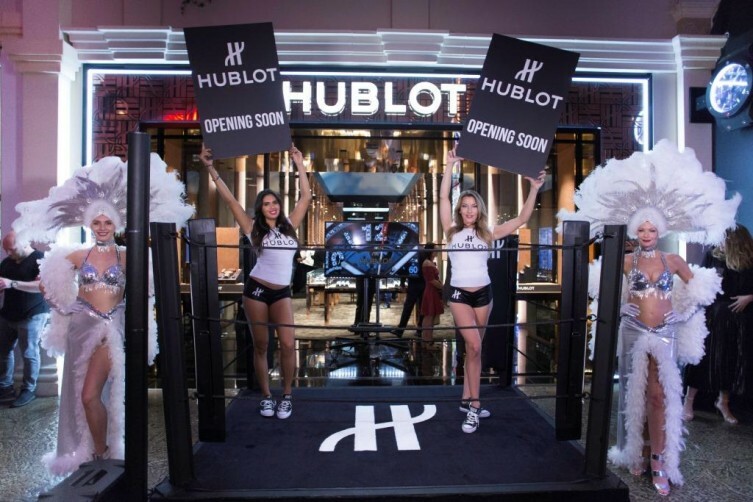 Powered by HUB4100 caliber, the watches come with black alligator “Hornback” straps, stitched to black rubber, which is engraved with “High Roller” in honor of Vegas bon vivants. In addition to the exclusive Big Bang Las Vegas Special Edition, the new store carries an assortment of rare and limited pieces. 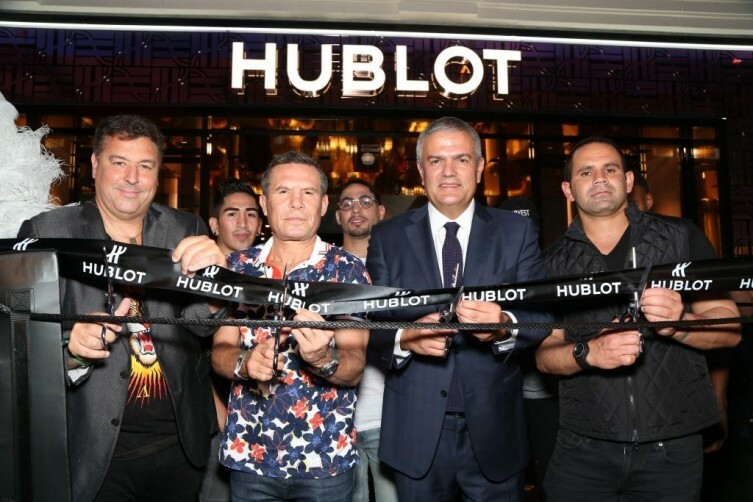 From left to right: Rick De La Croix, Julio Cesar Chavez, Ricardo Guadalupe, and Eduardo Serio.